Outgoing DBBA Executive Director Chuck Arnold will be replaced by former Albany Downtown Association Director Rod Porsche. 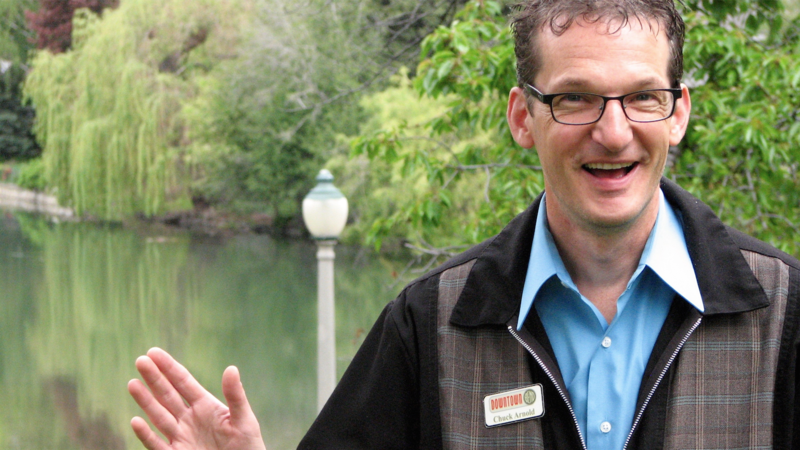 Last May, we talked to Chuck Arnold about his tenure as executive director of the Downtown Bend Business Association and his plans for the future. Today, the DBBA has officially announced Arnold's replacement: former director of the Albany Downtown Association, Rod Porsche. “I’m incredibly excited to be joining the Downtown Bend Business Association and look forward to working with the dynamic group of independent businesses in Downtown Bend," Porsche said in a release. Before taking the helm at the ADA in early 2014, Porsche was in charge of group marketing for the Albany Visitor's Association. “We had 68 applicants from over half a dozen states and are pleased to find such a great fit with Rod," DBBA Board Member Jim Petersen said in the release. "We believe Rod has the qualities necessary to continue the positive momentum of the DBBA and Downtown Bend overall." Heidi Junge, president of the ADA board, told the Albany Democrat-Herald when Porsche stepped down from his old post in May that he would be missed. "We're really sad that Rod is leaving. He's done an excellent job as the executive director for the downtown association," Junge said. "He's wonderful. We're sad to lose him. He's got a lot of drive and passion for what he does." As executive director for the DBBA, Porsche will oversees the downtown beautification, marketing, and events, as well as work with property and business owners to keep storefronts filled and businesses vibrant. Stay tuned for an interview Bend's new downtown guy.